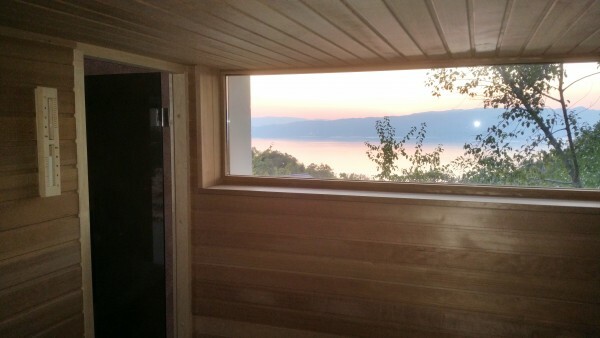 Sauna is a great way to add extra experience to your vacation, and you have this opportunity at Villa Velestovo too. 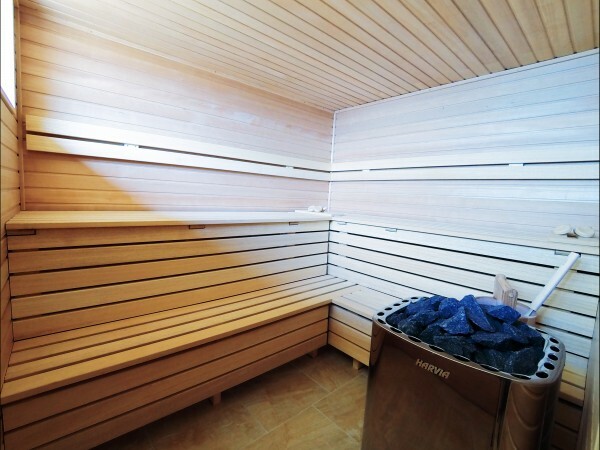 Some sauna time will not only bring a sense of peace and relaxation, but it will also get you a ton of health benefits. Sauna time heals you by lowering your blood pressure, deep cleansing your skin, and even reduce the risk of heart disease. 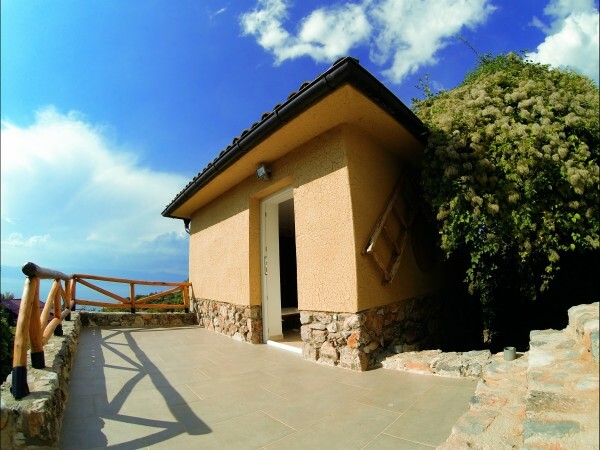 To offer you a unique, enjoyable sauna experience, we built the sauna as a traditional hut with an unobstructed view of the Ohrid Lake. 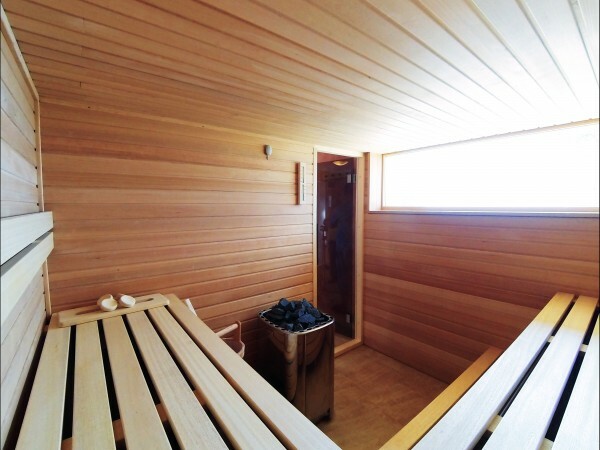 To maximize your sauna experience, we made sure that the sauna is all built with top-quality Finish materials and equipped with top of the line Harvia sauna equipment. 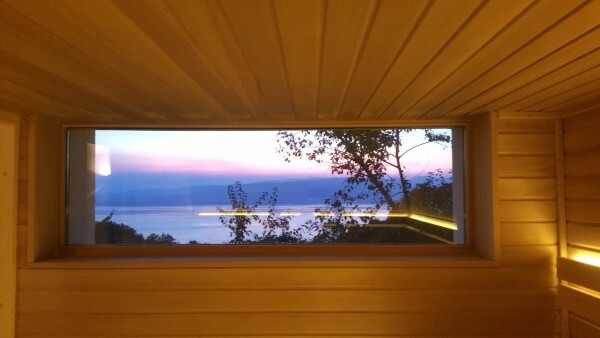 You can choose from the several scented aromas for a fully enjoyable sauna experience. For using the panorama sauna you will get a traditional basket with a 100% cotton bathrobe, towel, and a pair of slippers. 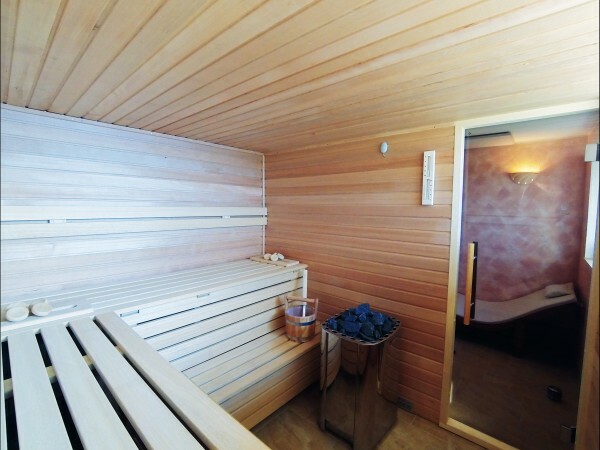 That’s 3 hours of exclusive sauna enjoyment for only 20 euros.